The latest episode of Ring of Honor television continued the build to ROH's 15th Anniversary with the first episode from the most recent TV tapings at Stage AE in Pittsburgh. Though not part of any storyline, the show featured the departure of Donovan Dijak as he finishes up with ROH by putting over World TV Champion Marty Scurll in the main event. Also on this episode, dissension emerged between The Addiction. In addition, the annual Top Prospect Tournament began with a first round match. The show began airing in syndication this past weekend before becoming available this week via streaming platforms like the FITE TV app and the official ROH website. The episode also airs this Wednesday at midnight ET on Comet TV, including on their free internet live stream. Bryan and Vinny also review the episode on the latest edition of the B&V Show available to our subscribers. Ian Riccaboni took over the duty of lead announcer on this show after the recent departure of Kevin Kelly. Continuing the theme of a rotating cast of guest announcers, Bobby Fish joined Riccaboni on commentary for the first segment. Fish did guest commentary for one match, then he cut a promo hyping his match this weekend where he challenges Adam Cole for the ROH World Championship on a show dubbed “Manhattan Mayhem VI” at the Hammerstein Ballroom in New York. Manhattan Mayhem was heavily plugged throughout the episode, continuing a trend this year of ROH using their TV show to promote their house shows more so than ever before. The show itself opened with a video package devoted to Christopher Daniels. Now the top contender after winning the Decade of Excellence tournament, he challenges for the ROH World title in the main event of the next pay-per-view. The story is the aging veteran, still as talented as ever, on a quest for an elusive World title that culminates at 15th Anniversary in Las Vegas on PPV with Daniels vowing to finally realize his destiny. Daniels would also start the show with a promo in the ring clearly playing a babyface role. He pondered who would be champion when he challenges for the title. Adam Cole interrupted to say he would be the champion forever. Daniels took off his jacket, signaling that he wanted to fight. Cole assured him there would be a match. Hangman Page hit the the ring for a sneak attack. Frankie Kazarian made the save for Daniels and a tag match would soon begin as Kazarian challenged the Bullet Club. Fish on commentary was critical of Kazarian and questioned his motives, foreshadowing the seeds of dissension planted within The Addiction as their story unfolds. Daniels shined early on, then sold during much of the match for the heat. After a hot tag, Kazarian cleaned house and ran wild leading to a slingshot cutter on Cole for a near fall. Daniels tagged back in as The Addiction did a double-team powerbomb for another near fall. Daniels and Cole had a slugfest before Cole signaled for a superkick. Daniels blocked the kick and set up Cole for the Best Moonsault Ever. Daniels springboarded into a moonsault only for Cole to counter by getting a boot up. Cole rolled up Daniels for the pinfall. Kazarian yelled at Daniels afterwards, angry over them losing. In a backstage skit, Kazarian yelled at Daniels again and stormed off. Brutal Bob Evans provided guest commentary for this match, which was the first in the tournament. Both participants introduced themselves in pre-taped promos. Carr got to shine at the outset before Skyler cut him off with a lariat and a Tiger Driver for a near fall. Carr made a comeback, leading to a dive through the ropes to the outside. They fought on the apron and Skyler speared Carr. Skyler dove through the ropes for another spear and a near fall. Carr got a hope spot in the closing moments. He leapt off the middle rope to deliver a codebreaker, and also a moonsault. Perched on the top turnbuckle, Skyler jumped off the ropes into a rolling fireman's carry slam to finish off Carr and cover him for the pin. Skyler advances past the first round. In an odd segment, The Tempura Boyz were supposed to wrestle the Motor City Machine Guns, but MCMG were apparently attacked backstage. Everybody seemed confused and the show quickly cut to commercial. Before the main event, a rundown plugged the card for Manhattan Mayhem this weekend. The lineup for the March 4th show is here. Dijak offered to shake hands with Scurll for the traditional pre-match Code of Honor. Scurll kicked away Dijak's hand. At the bell, Scurll charged in and ate a kick from Dijak. Scurll bailed out of the ring and Dijak flew over the ropes with a wild flip dive to the floor. Dijak followed by springboarding back into the ring with a flying elbow drop. Dijak did a somersault senton and sprung off the middle rope into a splash. They had a series of counters leading to Scurll posting Dijak. Scurll then delivered a tornado DDT on the floor. Scurll seemingly had the advantage. Suddenly, Dijak did a backflip off the apron and demanded a hand shake. Scurll cut him down with a kick. Dijak eventually made a comeback when he reversed a suplex. He ragdolled Scurll and went on the attack. Scurll countered only to end up hoisted by Dijak for a sit-out powerbomb. Before going to commercial, Lio Rush appeared on the stage to scout Scurll for their upcoming title match at 15th Anniversary. After the break, Scurll and Dijak were exchanging strikes and countering each other. Scurll delivered a brainbuster for a near fall. Scurll signaled for his finishing hold, but Dijak countered. Scurll then also countered into a victory roll for a two count. After hitting several superkicks, Scurll used a piledriver and Dijak kicked out. Scurll went for his finishing hold again, but Dijak escaped to pick up Scurll and deliver Feast Your Eyes. On the subsequent pin attempt, Scurll kicked out of Dijak's finisher. Dijak again demanded Scurll shake his hand. Scurll grabbed Dijak’s fingers and snapped them instead. Scurll started landing strikes, only to fall victim to a Choke Breaker from Dijak. Dijak leapt to the top rope and springboarded into a corkscrew moonsault. Scurll moved out of the way and soon applied the crossface chicken wing. Dijak tapped out and Scurll retained via submission. Afterwards, Lio Rush got in the ring to have a face-to-face staredown with Scurll, who hit Rush with a belt shot. Still trying to recruit Rush into their stable, The Rebellion ran in to save Rush from a beatdown. Scurll bailed and scattered. MCMG also appeared out of nowhere to glare at The Rebellion. Did they attack them earlier? Only time will tell. 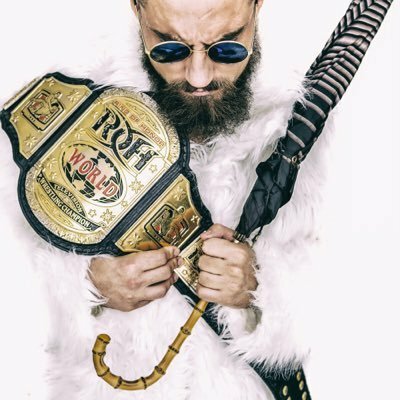 On the next episode of ROH TV, the Briscoes team with Bobby Fish & Jay Lethal for an eight-man tag match against Bullet Club members The Young Bucks, Adam Cole & Cody (Rhodes).